This is good advice. I left a company after 13 years for greener pastures. That job was a good experience, but after 2 years, I needed to make another move. 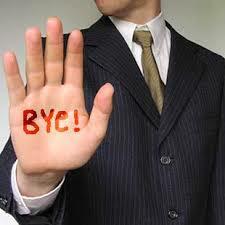 Guess what, I left on such good terms, I was offered numerous opportunities to go back to my former employer. I’ve been back almost 6 years. This is really important! Thanks John. I had a similar story, where I was a “repeat offender” by having the option to return to an employer as well. I’ve seen some who don’t leave on good terms and depending on the industry it hurt the persons reputation with other employers.